Hi there, friends! It’s Lydia, bringing you my latest Monday Matchup. 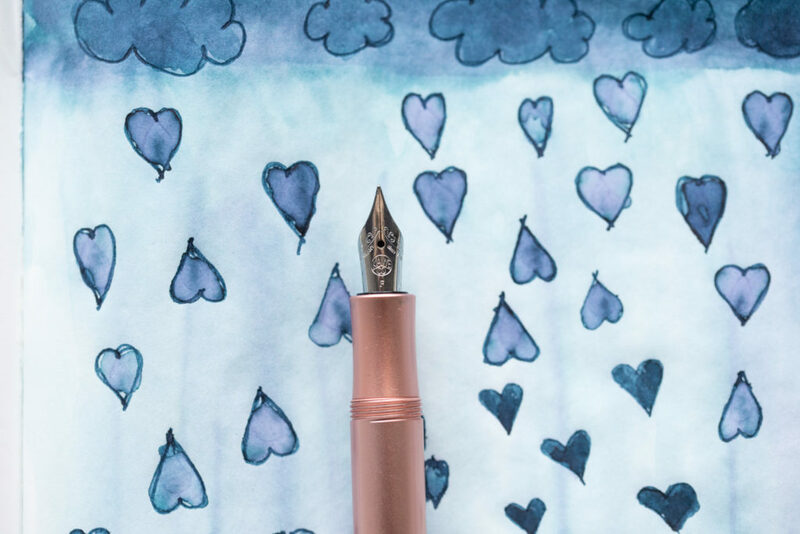 This week, I had the pleasure of using the new Kaweco AL Sport Rose Gold and Diamine Twilight. 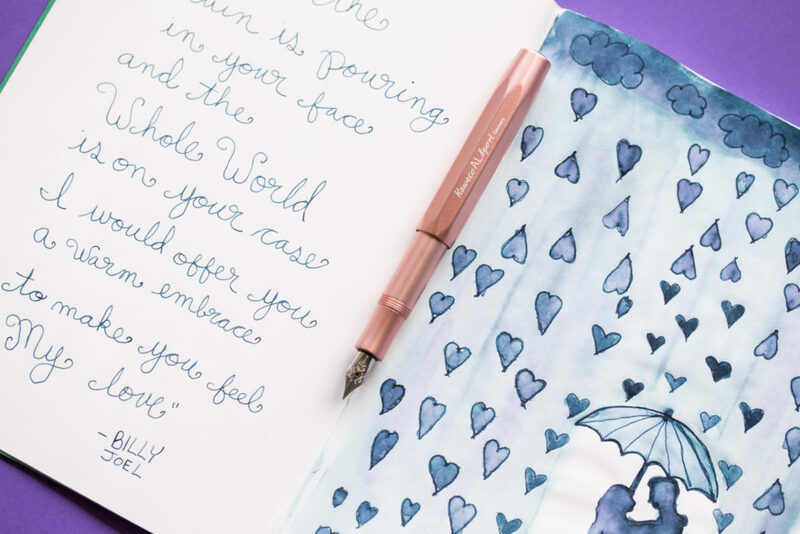 This dusky muted blue ink felt perfect for a rainy day sketch. 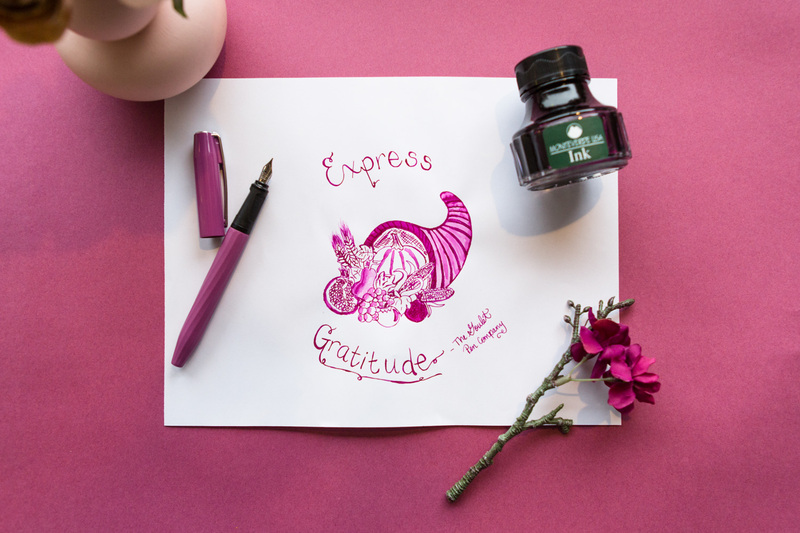 Read on to hear more about my inspiration and what I thought of this pen and ink. I really wanted to do a baseball themed drawing and quote for this Monday Matchup, especially because my Red Sox are currently playing the Yankees in the American League Division Series and I’m fired up. 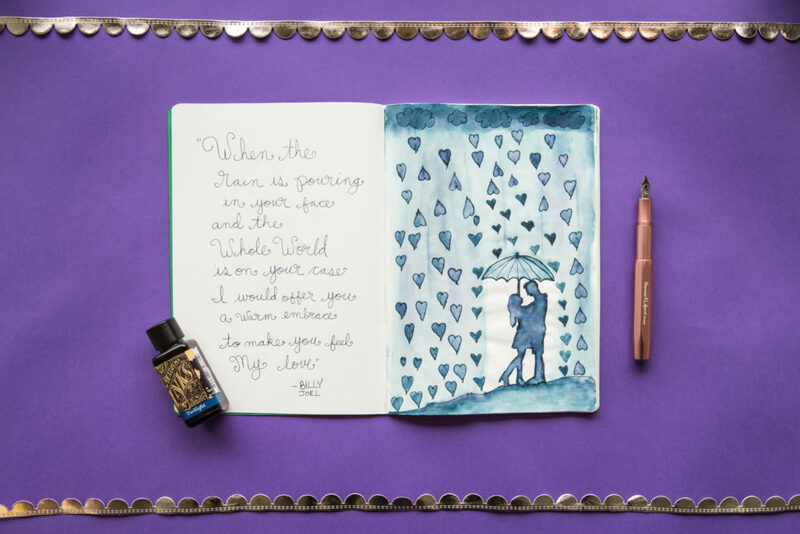 When I got this pen and ink though, I just couldn’t shake the feeling that I wanted to do something sweet and sentimental. 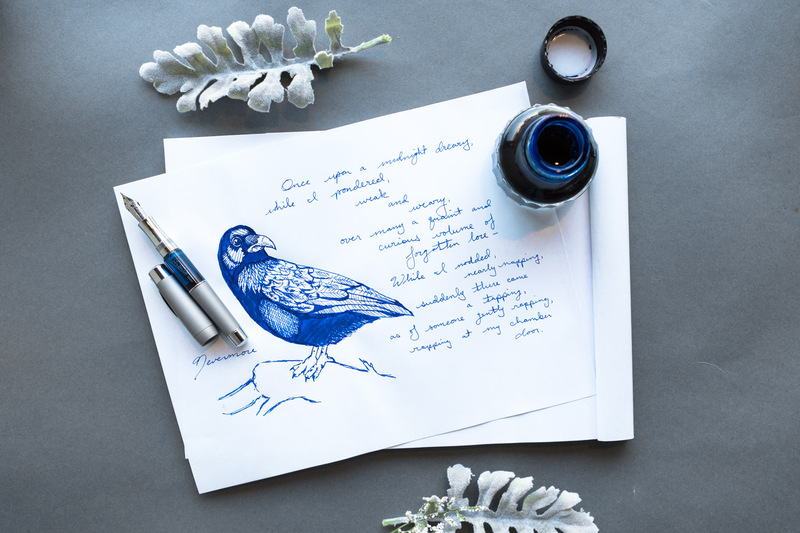 Twilight is a magical time of day and this ink lends itself well to a dreamy kind of post. I love how Twilight can be light enough to do an ink wash but dark enough to draw over that same ink wash and it has some much depth and variation of color. 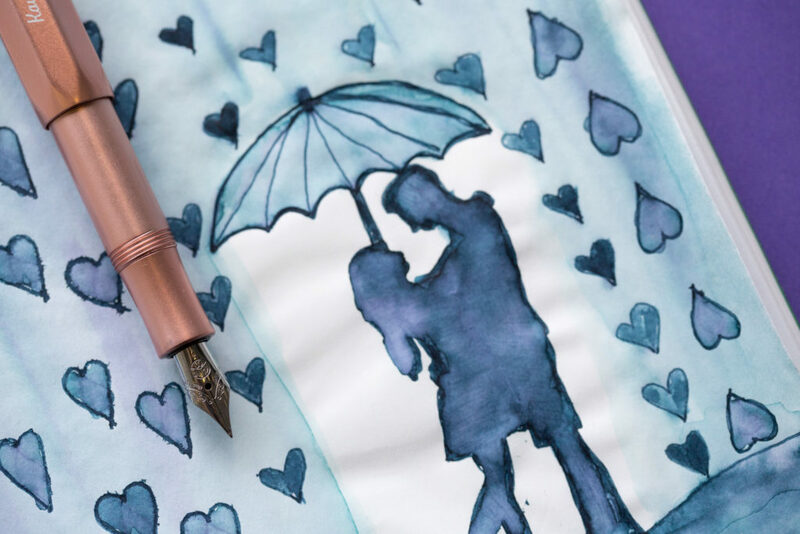 To start, I outlined the couple and their umbrella. 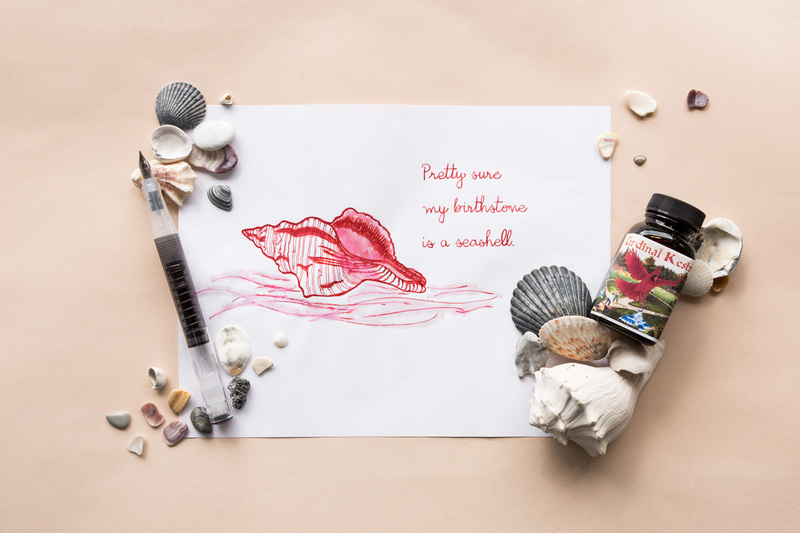 Then, I took a waterbrush pen filled with water and dipped it into the cap of the ink. I spread the color across the page and tried to get an even wash while leaving the area under the umbrella untouched. I left the page to dry overnight and touched up any spots that needed more color that next morning. 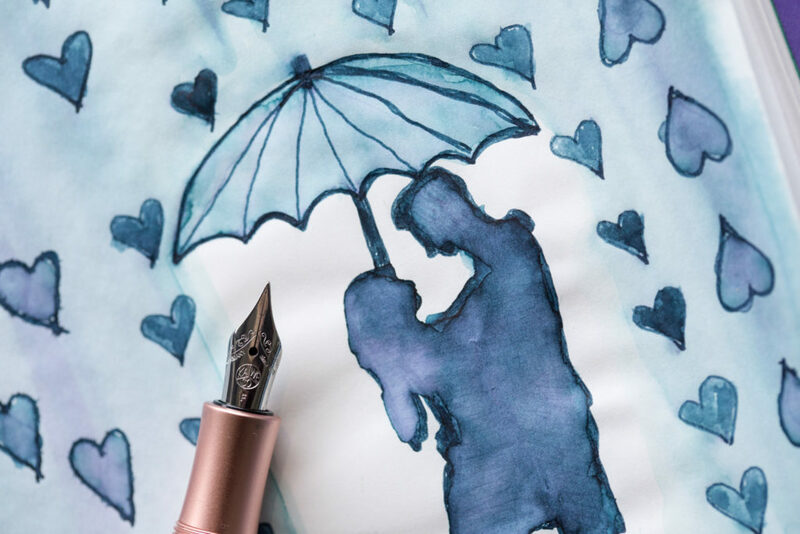 I love how this ink spreads. I laid it on darker at the top for the sky and spread it from there. I then colored in the couple and used the brush pen to blend the color. I drew in the clouds and rain drops after that. I messed up on the raindrops a bit, which was frustrating. I didn’t feel like starting over, so I turned them into heart shapes and I’m actually pretty happy with that decision. I think it adds a cute extra meaning to the quote. I blended the inside of the hearts a bit with the brush pen. 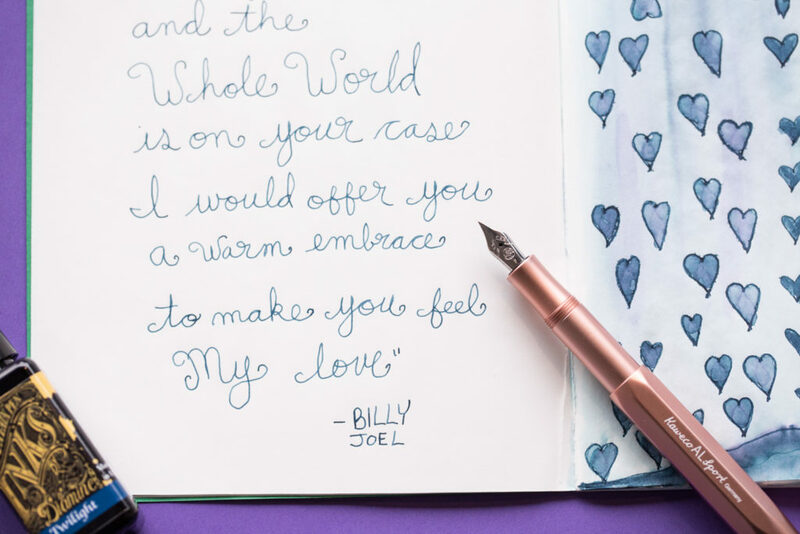 Then I wrote out the quote from the Billy Joel song (originally written by Bob Dylan) using the pen. These lyrics have always felt very romantic to me and anytime I am weathering a storm with a loved one or they are going through a rough time, this is the song that comes to mind. I just love the idea that someone’s love can get you through all kinds of times and love is the most powerful support you can get. I am surprised how much I liked this pen. I have an affinity with long, well-balanced pens and don’t usually enjoy pocket pens. 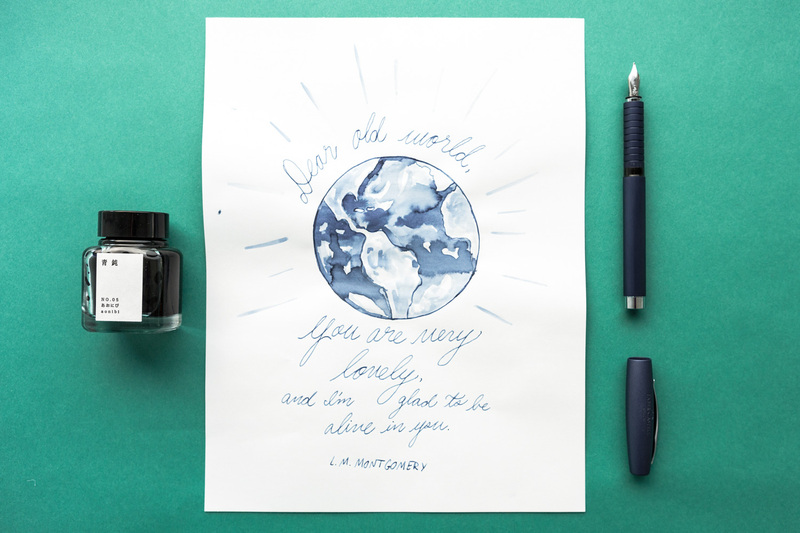 The AL Sport has a good weight to it though and it fits nicely in the crook of my hand as I was writing. The Kaweco converter was different to get used to with its slide mechanism but it worked very effectively. The ink was great as well. I love the little 30ml bottles of Diamine. I don’t think I’d ever paid attention to them but they are such a wise investment if you don’t want to commit to a huge bottle you may never finish. 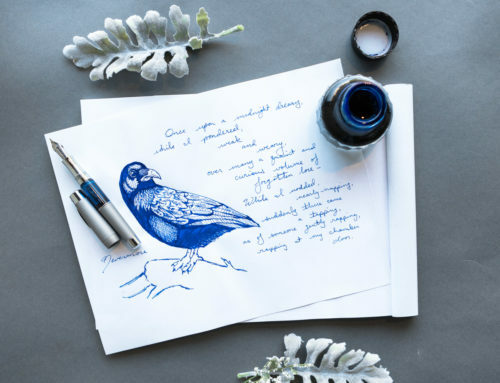 I could see them being difficult to use with large pens, but with an ink well, like the Ink Miser, you shouldn’t have any filling trouble. I am a sucker for dark, deep blues and Twilight did not disappoint. 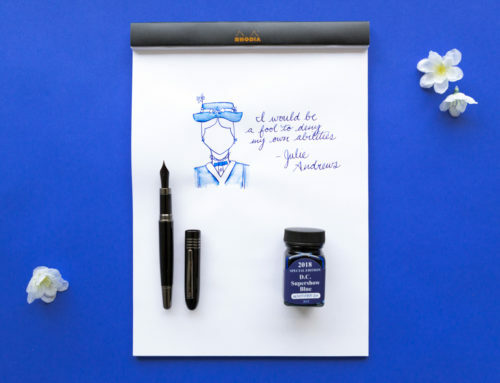 If you know much about me, you may have heard me extoll my love of De Atramentis Sherlock Holmes before and compare every navy blue ink to it. 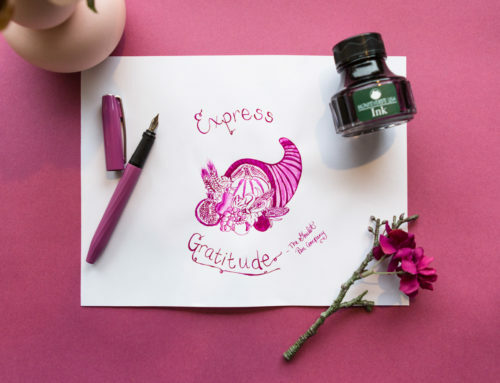 I dare say, Diamine Twilight might be a close second. I love the depth of color I got and hints of purple when I did the ink wash. The dry time is a bit longer, but that may have to do with the Tomoe River paper in the Goulet Notebook I used. 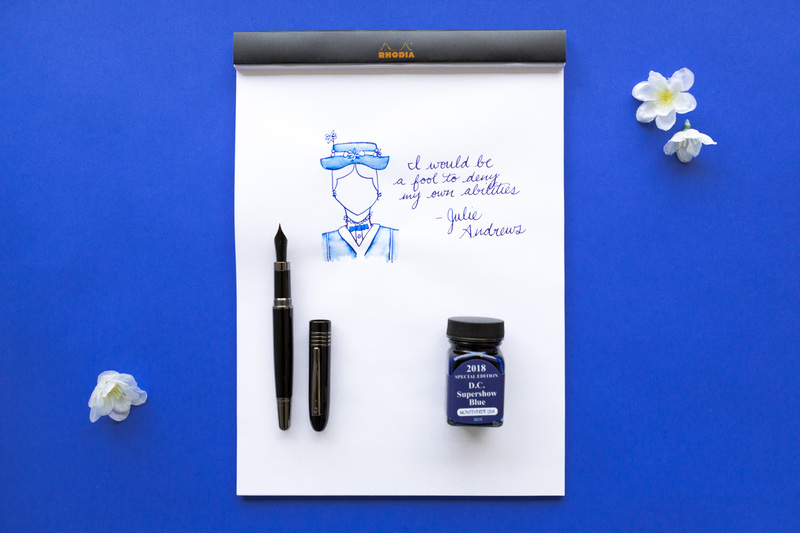 Overall, this pen and ink are a great pair for any occasion. 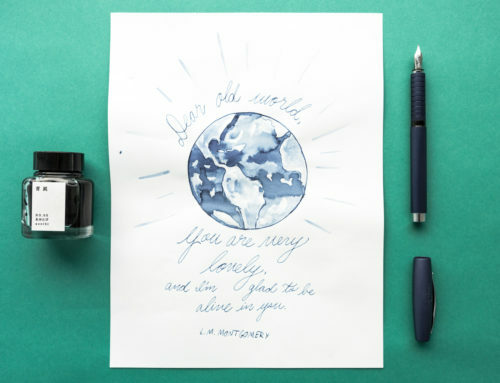 The pen is a great statement piece for the office, as well as a sturdy, well-made purse pen. 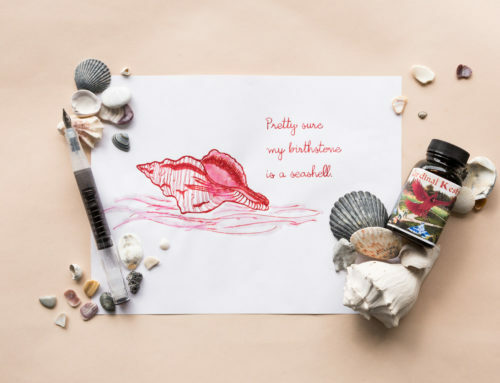 It can go anywhere and do anything, and the ink is appropriate for all occasions. 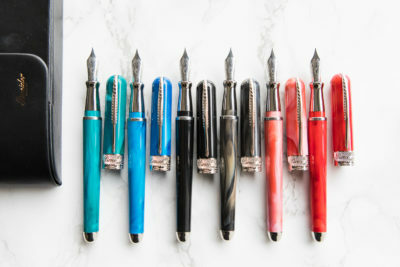 You can find the Kaweco AL Sport Rose Gold at GouletPens.com for $80. 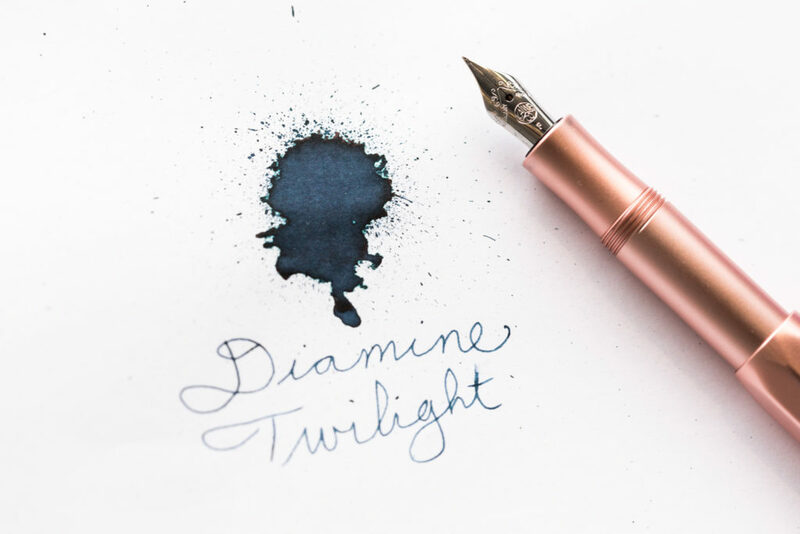 Diamine Twilight is available in the 3oml bottle for $7.50, as well as in an 80ml bottle for $14.95 and a 2ml sample for $1.25. The contest is open Monday, October 8, 2018, at 12 pm EDT until Tuesday, October 9, 2018, at 12 pm EDT. One winner will be randomly selected and announced tomorrow once the contest closes. 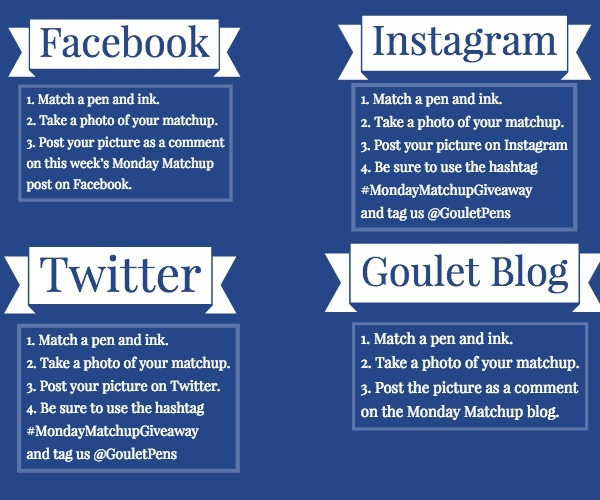 The winner must live in a country that Goulet Pens currently ships to. Click here to see the Official Contest Rules.